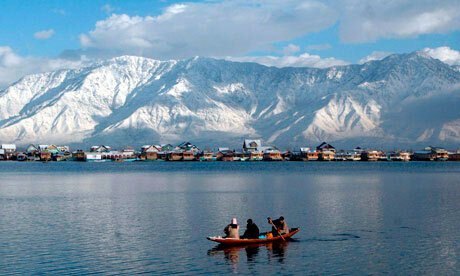 Upon your arrival in Srinagar, our representative will meet, assist and transfer you to your hotel. Later this afternoon, enjoy local sightseeing of Mughal Gardens, Tulip Garden, Chashm-e -shahi, Dal Lake. Also, enjoy a scenic Shikara ride. Proceed on a drive to the ‘Meadow of Gold’ in Sonmarg. A pony can be hired (on direct payment basis) to reach the great heights of Thajiwas glacier, a major summer attraction, 3 km from Sonmarg. 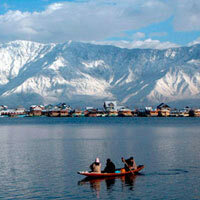 This evening, return back for an overnight stay at the hotel in Srinagar. After breakfast, proceed on a drive to Gulmarg. Spend the day in fun activities such as horse riding, Gondola cable car ride (all on direct payment basis). Stay overnight at hotel in Gulmarg. This morning, proceed on a charming drive to Pahalgam the ‘Valley of Shepherds’. Overnight stay in Pahalgam. This morning, visit the local attractions like Chandan Wari and Aru and connect with nature, in the lap of the mountains, before heading back to Srinagar. Overnight stay in deluxe houseboat, Srinagar. After early breakfast, you will be transferred to the airport for your flight back to Delhi. ~^#^~~^#^~Cancellation or postponement charges per person will be applicable as follows: If cancellation is made 10 days prior to departure, 50% of tour cost shall be deducted. If cancellation is made 09 to 05 days prior to departure, 75% of tour cost shall be deducted. In case passenger is no show at the time of departure, 100% of tour cost shall be deducted.